Proxy softwares are best source for accessing blocked website. 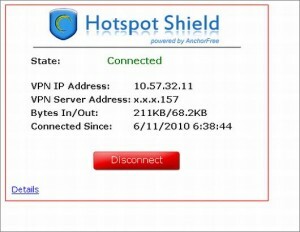 Some proxy software totally free to use and it offers full broadband speed but some are paid. You can unblock sites like Facebook and Youtube no matter your ISP blocks them or not.In Pakistan "YOU TUBE " blocked and every one is trying to access this using different proxy software.Some softwares are working well but in majority they are very dull and lazy in working.I m sharing with you top proxy softwares which will help you to accessing you tube easily without affecting internet speed.Top five proxy software's links are given below from which you can easily download and access any blocked website. The free proxy software supports English and Chinese, and you can also download and run it without any installation.When UltraSurf runs, it will automatically open "Ultrareach" homepage in IE, and you can turn it off in the settings.You can also use it on another browser using HTTP proxy 127.0.0.1:9666. The GTunnel proxy software also supports Chinese and English languages.The most powerful feature of GTunnel is that you can access the proxy network with your GTalk or Skype account.You can also use it on another browser using HTTP proxy 127.0.0.1:8081. Hotspot Shield also supports English, French,Chinese Arabic, Persian, Russian and Vietnamese.You download the Hotspot Shield software and install it, then you can use the free proxy services.Download it from here. Free Proxy is totally free to use and it offers full broadband speed.It is very well in its performance than others proxy softwares.Download it from here. The free proxy software Hyk-proxy is also built on Google App Engine and Java with Chinese instruction, here is the English instruction offered by Google Translate.To run Hyk-proxy, you need to set the browser HTTP proxy to 127.0.0.1:48100.Download it from here. You can translate it in your required language. Now a days you don't need any proxy i tell you simple way to open it just a simple click and open youtube very easily.